What was the purpose of having an astronaut perform the capture, and then ground controllers the installation? The ground controllers install the cargo vehicle to free up more crew time for critical activities such as science. Do robots controlled the Japan spaceship or humans controlled the Japan spaceship? what was the structure of the space ship? For what purpose it came to the international space station? The Japanese HTV-7 resupply ship automatically approaches the space station as mission controllers monitor its systems. 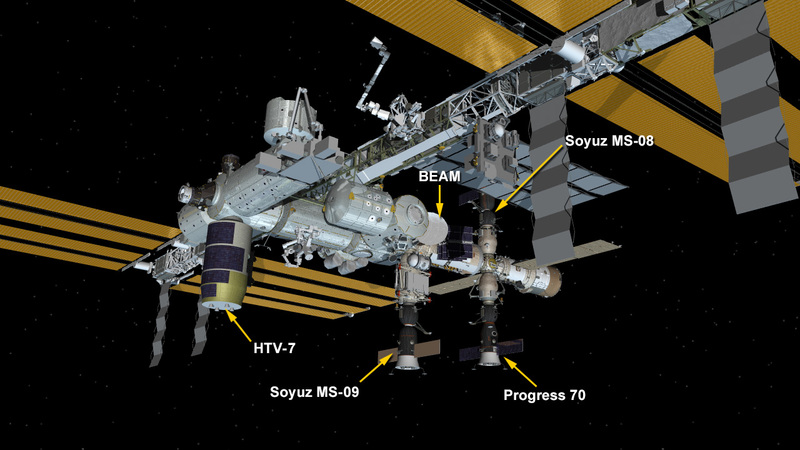 The HTV-7 delivered over 5 tons of science supplies for the crew aboard the International Space Station. My name is Tatiana Negreiros, I’m Brazilian and I really want to volunteer for NASA in the next missions. I want to know how I can achieve this great dream? I will be expecting the return.